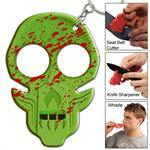 The Code Blue Uprising Zombie Emergency Key Chain is great in emergency situations. 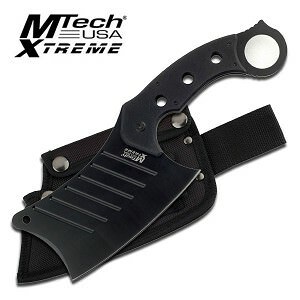 Not only does it come in an awesome Zombie design but it is functional as well. This key chain keeps all your all keys together in one place but it also comes equipped with an emergency whistle for alerting others that you are in need of help. A knife sharpener is provided to keep your blade sharp and at the ready for any situation you encounter. A seat belt cutter aids you in case of a car crash and you need to get out of your belt in a hurry. 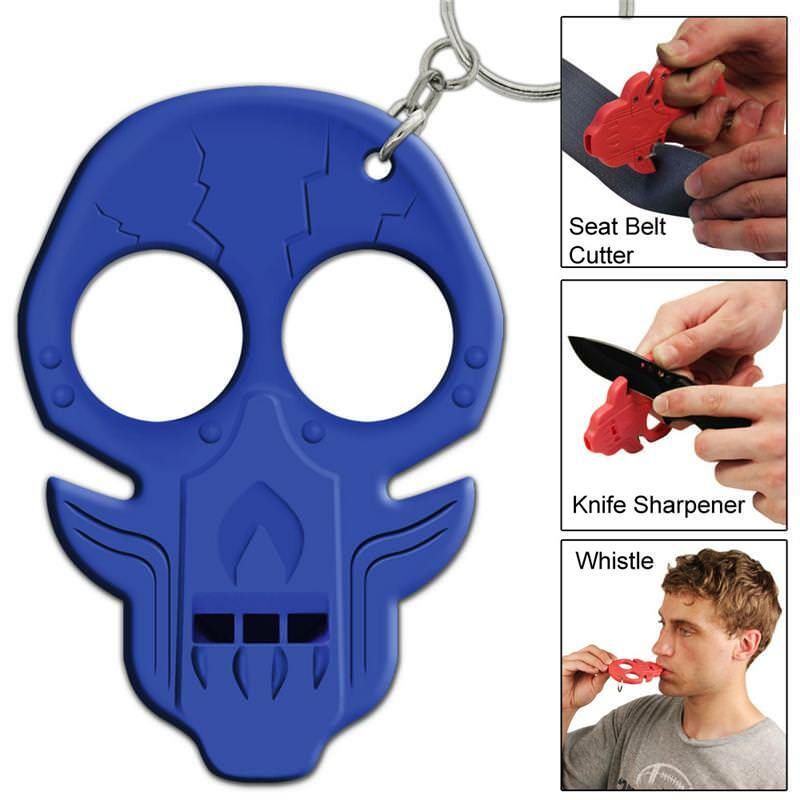 Lastly but not least, you can use your key chain as a knuckle to strike your attacker to try to get away in a dire situation. Constructed of a durable ABS material this key chain is a must have. 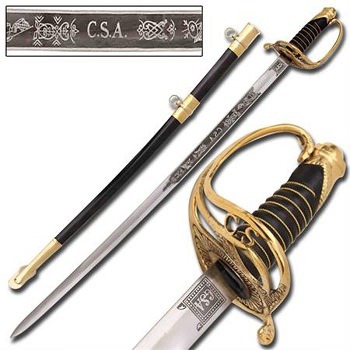 Great for men and women as a personal self -defense item. No one will suspect what you have hiding in this little key chain. Facing the front the left side is the knife sharpener and the right side is the seat belt cutter.